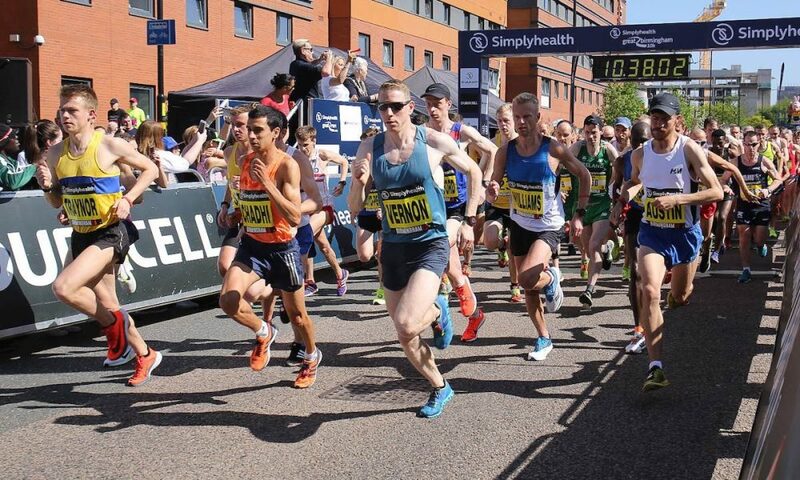 Wales crowns new 5k champions, while there were podium places for British athletes at the Great Birmingham 10k and the Lillebaelt Half Marathon. 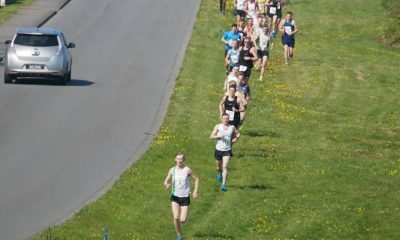 The hottest early May Bank Holiday weekend on record put paid to super fast times in the top road races in England and Denmark, but there were still some eye-catching results for masters athletes in Birmingham and great success for English and Scottish runners in Lillebaelt, while Wales hosted it’s 5k championships on Sunday evening in Cardiff. On Friday night Lachlan Oates and Annabel Simpson won the Scotland 5k Road Championships and you can read all about it here. 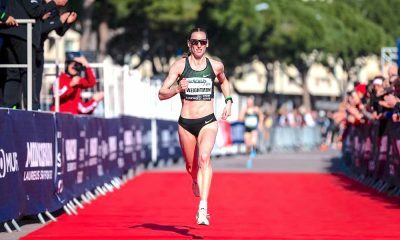 While Kenya’s Moses Kipsiro and Poland’s Aleksandra Lisowska took the top prizes in the Midlands capital, British and Irish athletes were still impressive to claim significant positions in the heat. Kipsiro’s 29:08 was good enough to take the win, but Aldershot, Farnham & District’s Andy Vernon was a convincing runner-up in 29:35, well ahead of fellow British athlete, Giffnock North’s Luke Traynor, who posted a 30:01 result. Cambridge & Coleridge’s Jack Gray was fifth overall behind France’s Hassan Chahdi in 30:35, and made up the top three Brits on the streets of Birmingham. Poland’s Aleksandra Lisowska took 21 seconds off her PB with a 34:14 to take the win, with Ireland and An Riocht’s Shona Heaslip very close behind in 34:19. Italy’s Fatna Maraoui made up the podium positions in 34:26. Leeds City’s Lucy Crookes was the first British athlete in 34:50, just three seconds ahead of Coventry’s Katrina Wootton. Liverpool, Pembroke & Sefton’s Kirsty Longley took the third Brit position in 36:14 when she crossed the line 7th overall. V40 Longley was the first veteran to finish in the event which also served as the Masters International, with athletes from the V35 ranks upwards from England competing against a composite Celtic team made up of veterans from the home nations (Scotland, Wales, Northern Ireland, the Isle of Man and Ireland) for individual and team honours. Longley was just 16 seconds ahead of her nearest rival both in the rankings results and in the top ten standings, Wakefield’s Julie Briscoe, who ran 36:32. Tonbridge’s V50 Maria Heslop was a superb 9th overall in a PB 36:28, a time that pushes her up to 6th on the all-time age group rankings. Clayton le Moor’s Laura Hesketh, who was featured on Fast Running this week, was first V35 in 36:40, although she wasn’t in the Masters International mix, with Telford’s seasoned international Claire Martin third V40 on the day in 36:57. 20 British women broke the 40-minute barrier in sweltering conditions, while 8 men broke 32 minutes. The top V45 Brit was Telford’s Michell Clarke in 38:33, while Darlington Harriers’ Sue Phillips took the top V55 prize. Carnegie Harriers’ Isobel Burnett was first V60, Haywards Heath’s Marion Hemsworth’s 52:35 earned her the V65 medal, while Lingfield Harriers’ Sue Garner was 22 seconds ahead when she claimed the top V70 honours. Horwich Harriers’ Michael Cayton was a superb 8th overall in 31:25 to take the top veteran prize as a V35, while V40 Martin Williams from Tipton Harriers also impressed with 32:38 to cross the line first in his age category, as did Haywards Heath’s V45 James Skinner with a 33:12 clocking. The first V50 title went to North Herts’ Andrew Leach with 33:34, Warrington’s Stephen Watmough ran 35:29 to take the top V55 accolade, Tiptree’s Paul Mingay’s 37:36 won him the top V60 prize, Phoenix AC’s Paul Whelpton ran well to post a 39:17 clocking as the best V65 on the day, V70 Ryde Harriers’ star Peter Young was on form with a 42:13 result, as was V75 Victor Shirley from Northern Vets, running an excellent 43:32. Charlotte Arter and Jonathan Hopkins were crowned the new Welsh 5k champions at the Cardiff 5K on Sunday evening. Swansea Harriers’ Hopkins was first across the line in 14:18 ahead of fellow Commonwealth Games steeplechaser Ieuan Thomas of Cardiff AAC. Cardiff AAC’s Arter set a new Welsh all-comers record to take the women’s win in 15:40, over a minute ahead of Rachel Felton. 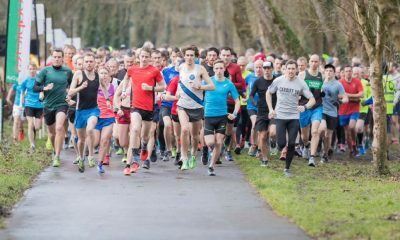 A full report from the Cardiff 5k can be found here. 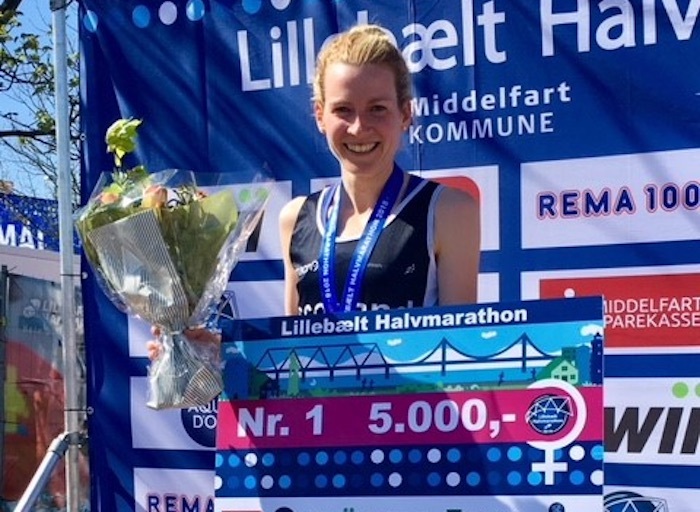 British athletes stole the show in the Danish city of Lillebaelt’s half marathon, with Barrow & Furness’s Peter Huck running for England and Metro Aberdeen’s Fiona Brian representing Scotland both clinching victory in the respective men’s and women’s competitions. Huck claimed the win in 67:27, some way off his 65:01 best from last year but proving just how much the heat took its toll. Brian won the ladies’ race in 76:47, having already posted a 75:34 PB at this year’s World Half Marathon Championships (where she was running in the mass race). Moray Road Runners and Scotland’s Kenny Wilson was third place overall in 69:11, following up from his 67:06 life time best in the Big Half Marathon in March. Guernsey’s Ryan Burling, who had clocked 66:28 at the Big Half, crossed the line in 70:24 to finish fourth overall. England and Norwich’s Dani Nimmock and Rugby & Northampton’s Emily Waugh took second and third place to complete an all British women’s podium with times of 77:20 and 80:59 respectively. Bure Valley Harriers’ Faith Viney took the women’s win in King’s Lynn with a time of 39:34, in a race that traditionally attracts faster times but perhaps was also affected by the hot conditions. Colchester’s Lucy Mapp and local athlete Bethan Everson from Fenland Runners took second and third spots on the podium in 40:15 and 40:35 respectively. Lincoln Wellington’s Will Strangeway was first across the line by some margin in 31:44, well ahead of Felixstowe’s Danny Rock and Ryston Runners’ James O’Neill, whose times of 33:19 and 33:34 were good enough for the runner-up positions. 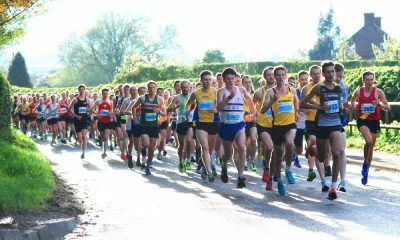 The Scunthorpe pan flat course played host to some fast times considering the unseasonably hot weather, with Rotherham’s Dan Kestrel and Milton Keynes’ Rachel Robinson taking the top honours. Kestrel’s 70:42 result saw off competition from Lincoln Wellington’s Ryan Page and Barton & District’s Ben Sadowyj, who ran 71:37 and 72:10 a piece. Robinson – formerly of Aldershot, Farnham & District and currently working her way back into top form, beat Rotherham’s Steph Burns (80:46) and Harrogate Harriers’ Sharon Barlow (82:16) to win the top prize.